When you are not with your dentist in Tucson, your toothbrush is one of your most valuable tools in combating tooth decay and preserving your oral health. For maximum benefits, however, it is important to find the right toothbrush for your needs. Here is an overview of the steps of upgrading your at-home care routine with the right toothbrush. There is nothing wrong with a manual toothbrush, but their electric counterparts tend to be a bit more user friendly. An electric toothbrush automatically spins or scrubs your teeth for you; all you have to do is move it to the proper location in your mouth. This is also an excellent option for individuals with joint problems who might not be able to use a manual toothbrush with comfort. There are many types of electric toothbrushes, so it helps to understand how to choose the right one for you. 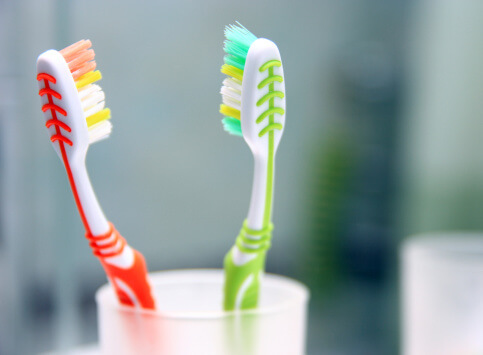 Different toothbrushes tend to vary in a few ways, one of which is the hardness of their bristles. You might think that a stiffer toothbrush will be advantageous because it can efficiently scrub the bacteria and plaque from your teeth. This is not necessarily the case. Your dentist will recommend that you find an electric toothbrush with soft bristles in order to avoid being too rough on your teeth and gums. If you already have sensitive gums as it is, you may want to look for an electric toothbrush with very soft bristles. The right toothbrush can motivate children to actively maintain their oral health. Children’s electric toothbrushes often play music that kids can sing along to, or they are modeled after your child’s favorite superhero or video game character. Anything that makes your child want to pick up a toothbrush can help. If you are having trouble deciding what kind of toothbrush is right for you, call John Carson, DDS at (520) 514-7203. Dr. Carson is committed to high quality cosmetic dentistry in Tucson. For more information about his root canals and dental crowns, feel free to visit his website or stop by the office today. Women experience a few hormonal changes throughout their lives, and these changes can impact their oral health. If you are a woman, there are certain times during your life during which you might want to keep in closer contact with your dentist in Tucson. Continue on if you would like to learn about the unique oral health concerns for women. The first interval during which women may be more susceptible to oral health complications is puberty. Increased blood flow and changing gum tissue caused by progesterone and estrogen can present symptoms much like those of gingivitis: swollen gums that bleed during brushing. This progesterone surges again during the menstrual cycle, which may once again lead to red and swollen gums. The hormonal changes associated with the menstrual cycle can also lead to canker sores and the swelling of salivary glands. Some individuals experience menstruation gingivitis, which typically lasts from a few days before the period to a few days into the cycle. The increase in progesterone that females experience during puberty and menstruation is also present during pregnancy, and its symptoms come along with it. This can lead to pregnancy gingivitis. Although you should be taking care of your teeth at all times, it is helpful to visit your dentist more often in order to receive additional teeth cleaning services throughout your second and third trimesters. 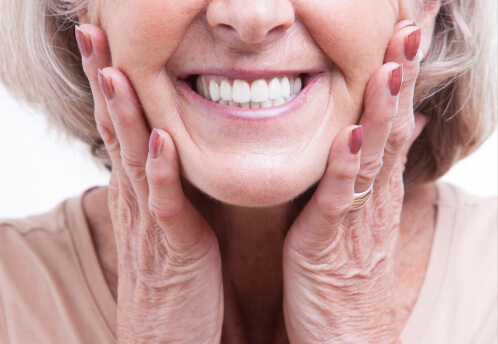 Your body changes as you grow older, and this includes your teeth and gums. Menopausal women may experience sensitivity to the temperature of their food or drink, a reduced production of saliva, or a feeling of burning within the mouth. Decreased saliva production can lead to tooth decay. Keep in contact with your dentist throughout these changes to ensure that your teeth get the care that they deserve. For more information about the unique health concerns that women may deal with, contact John Carson, DDS. Dr. Carson is a skilled dentist who offers a variety of cosmetic dentistry services including dental crowns and teeth whitening in Tucson. Feel free to call the office at (520) 514-7203 or visit his website for more information. Your dental health is one aspect of your overall well being that deserves constant attention; leaving it to take care of itself is never a wise choice. It is important to see your dentist in Tucson regularly for oral screenings, professional cleanings, and advice on how to care for your restorations. Continue on if you are interested in exploring the high stakes of your dental health. Failing to brush and floss your teeth as well as visit your dentist can take a toll on your dental health. Unfortunately, poor dental health can influence the status of your general health as well. Poor dental hygiene and oral health can lead to serious diseases and studies have found links to complications such as heart disease and dementia. If you aim to live a long and healthy life, it is important to keep your dental health in check. It is common knowledge that your diet and nutrition can impact your general health; colorful diets full of fruits, vegetables, and Omega 3 acids can go a long way. Unfortunately poor nutrition can do a number on your teeth, which can ultimately lead to the aforementioned complications. Snacking on sugary foods in between meals is a bad idea in terms of dental health. 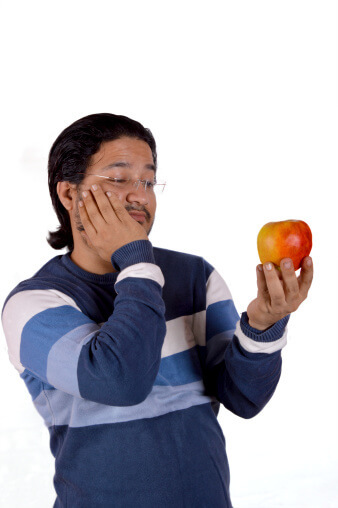 When you snack in between meals, you allow food debris from your snacks to remain on your teeth. This can lead to cavities, decay, and gingivitis. A long and healthy life starts with the adoption of proper habits as a child. It is important that you teach your children to brush their teeth properly at a young age. This will get them into the habit of taking care of their teeth, and it may help them avoid the development of severe diseases. John Carson, DDS is a qualified and attentive dentist in Tucson. Dr. Carson offers a variety of treatments that range from root canals to teeth whitening. You can find out more information about Dr. Carson’s services by visiting his website or calling the office at (520) 514-7203. What Could Be Causing Your Chronic Bad Breath? Bad breath can affect the way you socialize, which can in turn affect your self-esteem. There are several factors that could cause your bad breath, so it helps to do some research and talk to your dentist in Tucson to find out what you can do differently. Keep reading if you are wondering what could be causing your chronic bad breath. Keeping a clean mouth is important if you want the breath that passes through it to smell pleasantly. For this reason it is helpful to practice proper dental hygiene and nutrition as well as visit your dentist on a regular basis. Onions and garlic tend to leave a more potent residue behind, but it is wise to brush your teeth after any kind of meal. When you fail to brush your teeth, you allow bacteria to continue to build within your mouth and cause cavities and halitosis. It is also important to floss every day and visit your dentist routinely. Those who suffer from certain medical conditions may be more likely to experience bad breath. Diabetes, lung infections, and certain kidney diseases are particularly likely to cause this problem. Unfortunately, medications that treat disease can also cause bad breath by inhibiting your ability to create saliva. A lack of saliva also contributes to the buildup of bacteria and food debris within your mouth. Talk to your doctor and dentist about getting your condition under control with an orally safe medication. Another common cause of chronic bad breath is tobacco use. People who smoke cigarettes or cigars or use other types of tobacco are susceptible to halitosis because of their habits. Tobacco use can also irritate your gums and increase your risk for an array of health conditions including cancer. Are you suffering from chronic bad breath? Call John Carson, DDS at (520) 514-7203. Dr. Carson is a dentist in Tucson who prides himself in delivering individualized care for his patients. You can find out more about his services by visiting his website or stopping by the office today. Although your attention to dental hygiene and visits to your dentist in Tucson may play crucial roles, there are many factors that determine whether or not you will develop gum disease in your lifetime. You can reduce your risk for gum disease and the complications that may follow by avoiding certain foods and stocking up on others. Read on if you are interested in changing your diet to fight gum disease. A sugary snack can really hit the spot during the workday, but it can hit your teeth and gums even harder. Sugar, and other acidic foods like lemons and cherries, has a tendency to stick to teeth and produce bacteria. This creates an ideal environment for gum disease. Try to limit your sugar consumption, especially when it comes to snacks in between meals. Acidic foods are most appropriate during meals when you brush your teeth directly afterwards. Unlike acidic foods like sugary snacks, certain foods actually bolster your oral health rather than deplete it. L-arginine is a helpful enzyme that is found in food products like fish and red meat. The amino acid Arginine, has been shown in lab tests to combat tooth decay and gum disease. Arginine may even help to dissolve dental plaque, which is another way it can fight gingivitis and periodontal disease. Consider increasing your Arginine intake by consuming more poultry, dairy, and fish; this may help you prevent gum disease and the diseases to which it is linked. You can also ward off gum disease by consuming more vitamin C. This type of vitamin bolsters the supporting tissue of your teeth and is associated with stronger teeth. If you decide to increase your vitamin C consumption, make sure you remember to brush your teeth after consuming citrus based foods or drinks. Are you thinking about changing your diet to fight gum disease? Call John Carson, DDS at (520) 514-7203. Dr. Carson is a dentist in Tucson who prides himself in delivering individualized care for his patients. You can find out more about our services by visiting our website or stopping by the office today.